I’ll start with a simple definition of a color space. It is a map of the numeric values of the pixels in your image to “real world” colors. 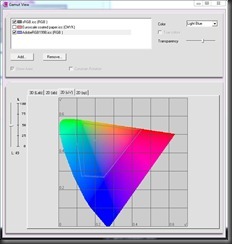 There are “small” color spaces like sRGB, which map your pixels into the least common denominator of color display found in inexpensive TVs and web browsers, “medium” color spaces like Adobe RGB which approximates the color fidelity you might find on a higher-end monitor or D-SLR and “large” color spaces like ProPhoto RGB (developed by Kodak) which can contain colors far beyond what we can currently capture or even see. Unfortunately if you care what your images look like you need to care about colorspaces. Specifically if your image is encoded in one colorspace and displayed in a different one then it won’t look right. For example images encoded in Adobe RGB look washed out when displayed on an sRGB device. But if all this is making your head spin you can “opt out” of this whole issue by simply choosing sRGB as your camera colorspace and your Photoshop colorspace and leave it at that. Then all your images will look okay on just about every device, as it is the smallest and therefore the “safest” default. So why wouldn’t you do that? Simply because our world contains many colors that don’t fit in sRGB, and most D-SLRs, high-end monitors and high-end printers can now work with those colors. So if you want the richest and most accurate images you need to deal with at least a little color space complexity. 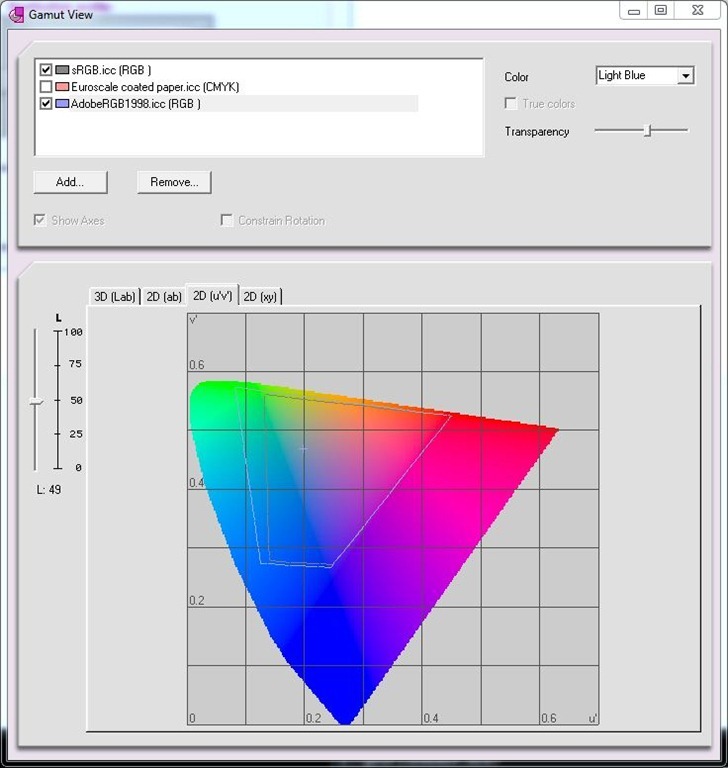 Can’t I Just Use a Huge Color Space? Yes, you certainly can. That’s what ProPhoto RGB is and if you browse fine art photography sites you’ll find plenty of folks who recommend you stick with it as the space you set in Photoshop (in Edit->Color Settings you can change the color space Photoshop uses by default, called its “working space”). There is just one kind of large issue with this approach. Because ProPhoto RGB is a huge space it requires a huge map to cover the territory. That means if you are going to be working in it you really should be using a 16-bit workflow—opening your images from Camera Raw into your Image Editor in 16-bits and saving them as 16-bit image files (really 48-bits per pixel, as each color gets 16-bits). 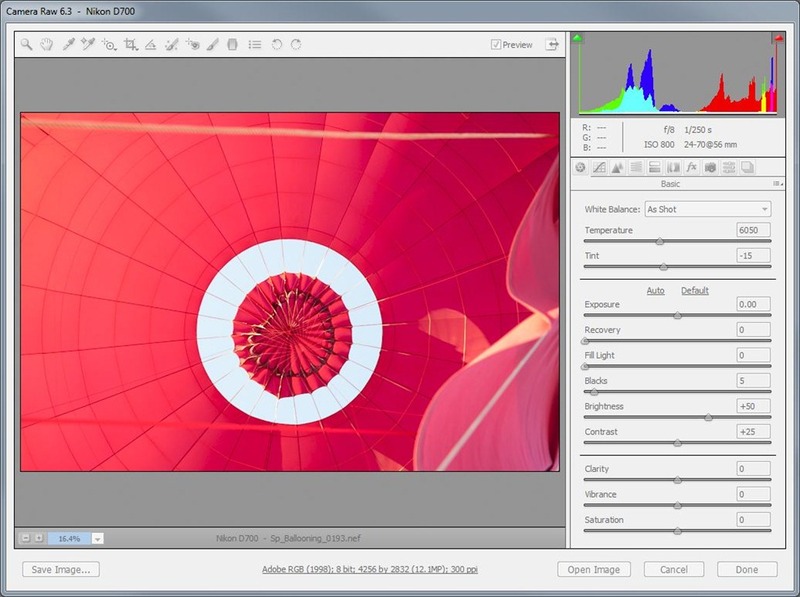 That doubles the disk space your images need and slows down your processing dramatically. 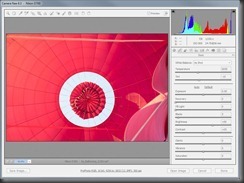 On top of that not all Photoshop plug-ins operate on 16-bit images. If you’d like to learn more about 8-bit versus 16-bit workflow you can see the article we published in DPS 4-13 in 2007. Fortunately there is a way to tell when you need a truly large color space which I’ll get to later in this article. In the meantime the good news is that there is a really good choice for a general purpose working space. 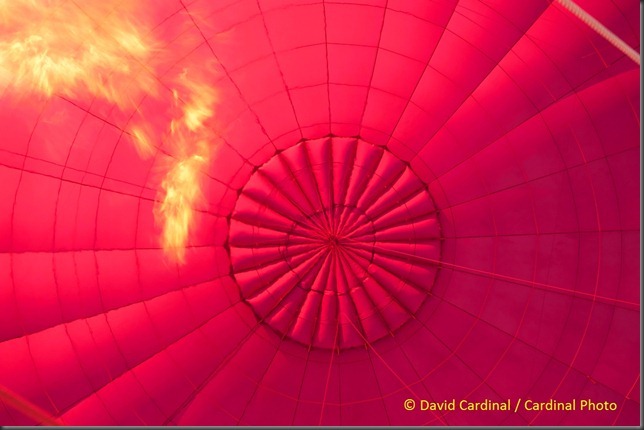 Hot-air Balloon in ProPhoto RGB vs. sRGB – Even though they were both later converted to sRGB for the web you can see the additional richness of the ProPhoto RGB version on the left. Adobe RGB turns out to be a really good all around colorspace. Most modern D-SLRs let you choose it as the colorspace they output when you write JPEG files and many newer monitors even let you set them to directly operate in it. And it is a convenient default for Photoshop and Lightroom. It is just about big enough to hold all the colors you’ll capture most of the time but small enough that you can typically get away with an 8-bit workflow—a good thing unless you have an unlimited budget for computers and disks. Remember when you send an image to anyone not using a fully color managed system (when it doubt assume they aren’t) convert the image to sRGB. Many programs like Photoshop and DigitalPro make this easy with a simple checkbox when you use commands to “convert” or “submit to web” your images. 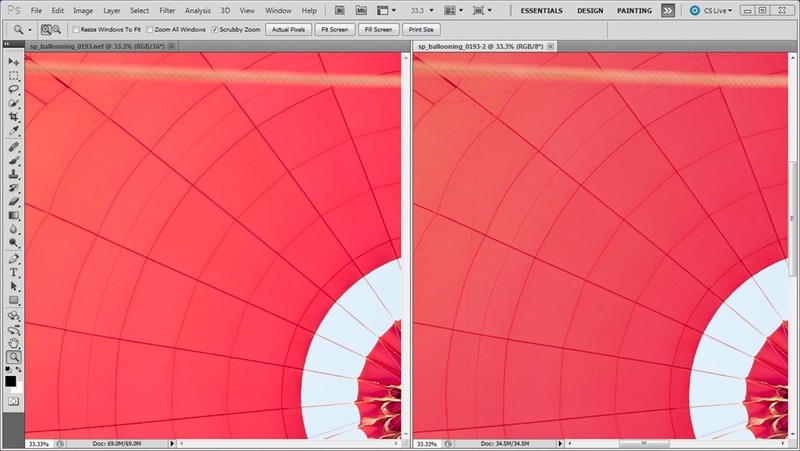 The screen shot on the left shows an out of gamut image in Camera Raw using sRGB. 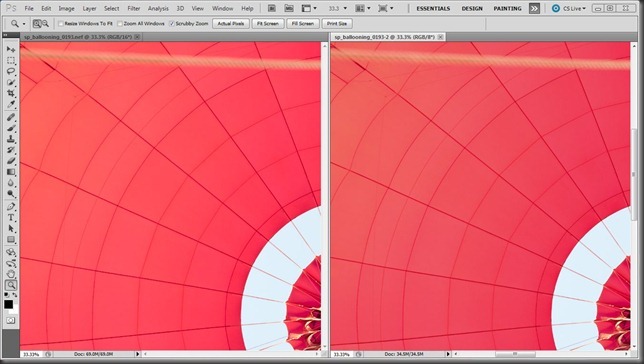 The screen shot on the right shows the same image in gamut with ProPhoto RGB. Using Adobe RGB is as we’ve said, a compromise. For some images your camera will be capturing colors that are simply outside its range. And if you have a high-end printer it can even print many of those colors. 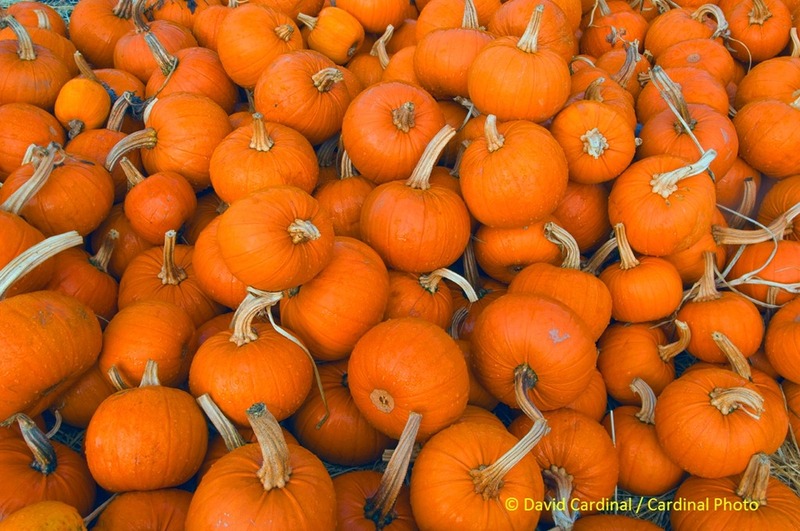 But not if you put them through the bottleneck posed by Adobe RGB in the middle. So the trick is knowing when you have those colors in an image so you can kick it up a notch and use ProPhoto RGB & 16-bit processing. This hot-air balloon image was out of gamut in sRGB and Adobe RGB but rendered correctly in ProPhoto RGB. Switching to ProPhoto and 16-bit is easy. Simply click the “Options” link at the bottom of the Camera Raw screen and change the settings in the resulting dialog to ProPhoto RGB and 16-bit (don’t forget to change them back on your next image). If you’re right that the problem is over-saturated colors then you’ll see your histogram snap back into line without any nasty highlight and lowlight warnings. If it doesn’t then your problem may not be related to colors. Once you’ve done that simply process your image as usual. The only caveat is that since your image has some really radical colors it may be hard to print in full fidelity. You’ll need to make extra sure to soft-proof through your printer profile to see how it renders the extreme hues and possibly do some tweaking in your image editor to make them come out the way you want on the printer. And you need to make extra sure that you convert the image to a smaller colorspace before sending it to anyone or it will look awful on their display. That’s all there is to it. If you’d like to learn more I highly recommend Color Confidence: A Real World Guide To Color Management by Tim Grey. Real World Color Management is also excellent but hasn’t been updated since Bruce tragically passed away and is now a little dated and hard to find. Let us know any tips or tricks you have for making the most of your color management workflow and colorspace choices either here or in our Color Forum on nikondigital.org.